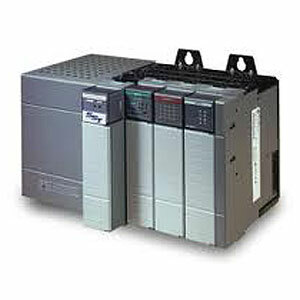 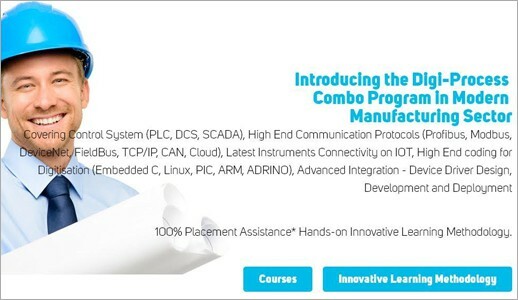 Prolific provides end-to-end comprehensive Total Automation Solutions through integration of cutting edge, state-of-the art PLCs (Programmable Logic Controllers), controllers, distributed data acquisition and control systems, compact PCI and PC based open control software solutions. 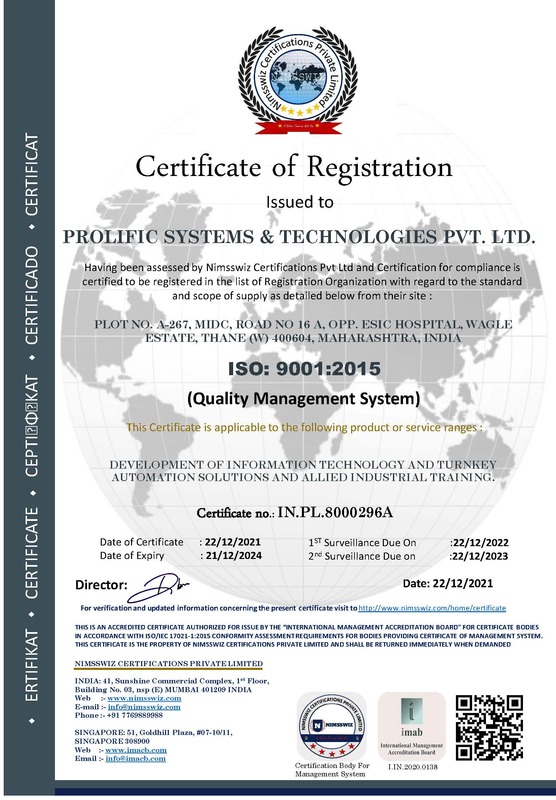 Prolific is the only company worldwide which has more than 300 sets of PLCs, 30 Sets DCS and More than 75 Instrumentation labs. 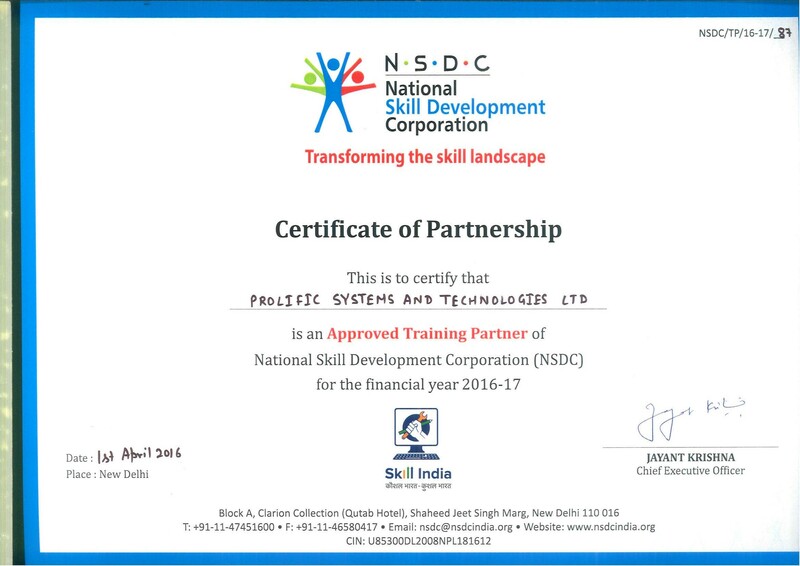 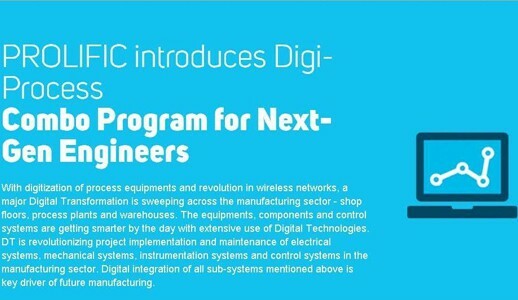 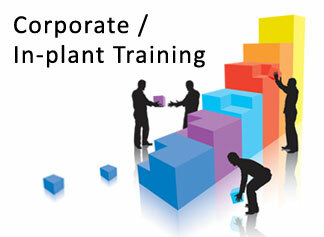 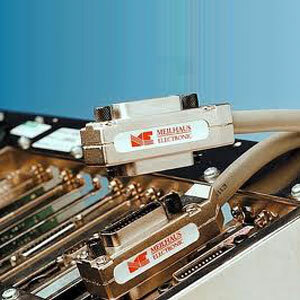 The training will be provided on actual PLCs and DCS used in the plant and NOT on simulation software. 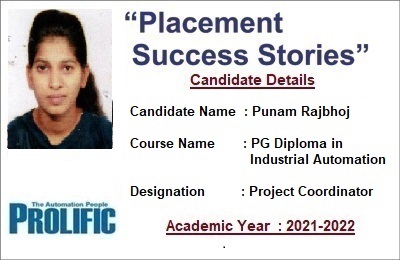 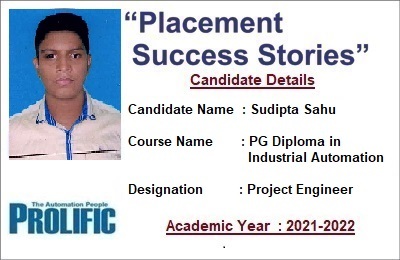 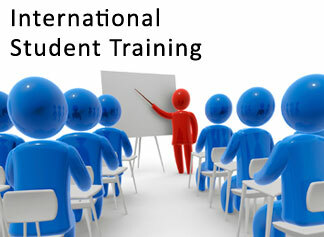 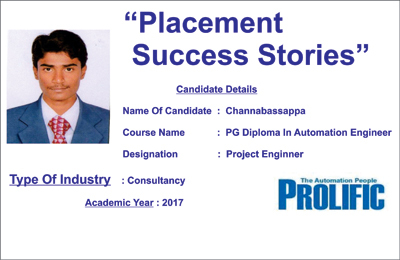 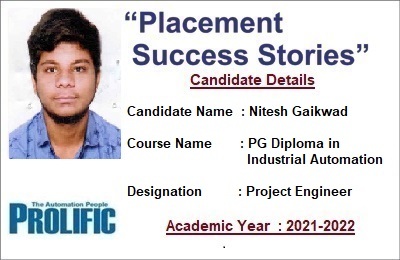 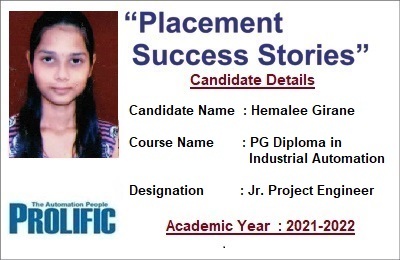 We Are Only Company To Provide Placement To More Than 3000 Students Per Year. 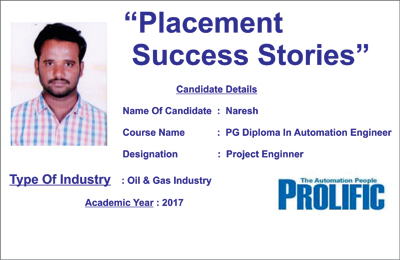 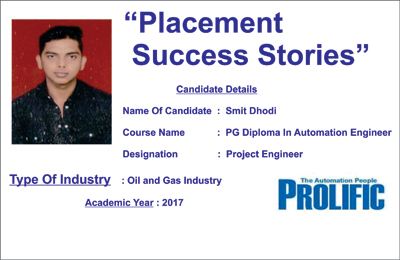 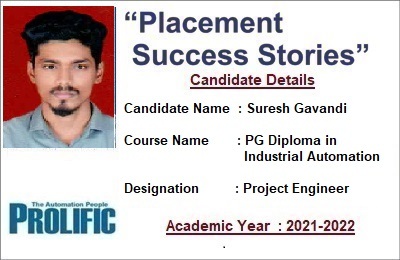 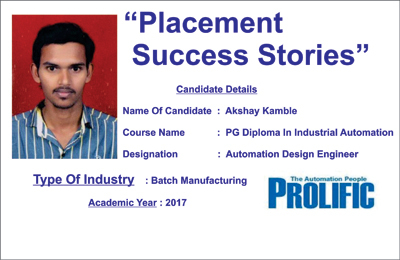 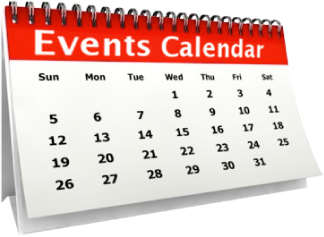 Prolific offers placement oriented training programs for the PROFESSIONAL & FRESHERS Degree / Diploma Mechanical engineers, Production engineers, who are looking for the placement in core manufacturing sector, projects companies and high end mechanical design companies. 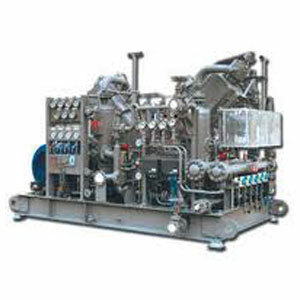 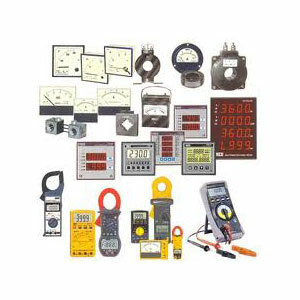 Prolific has large infrastructure that includes the platforms/equipments used in the industry such as Industry Size Compressor and Pumping System, Boilers, Control Panels, Industrial Fans / Blowers, Diesel Generator Sets, Hydraulic Systems, Pneumatic Systems, Advanced Measurement, Condition Monitoring Tools and Equipment such as Radio Frequency Stroboscope, Wireless Laser Alignment Kit, Vibration Meter, Industrial Stratoscope, Thermal Camera, Laser Thermometer, Advanced Industrial Endoscope. 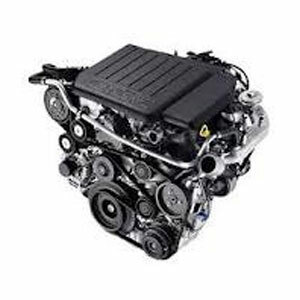 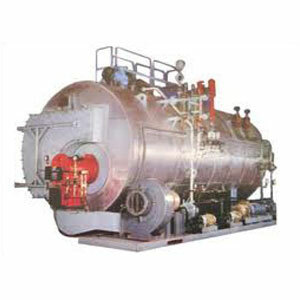 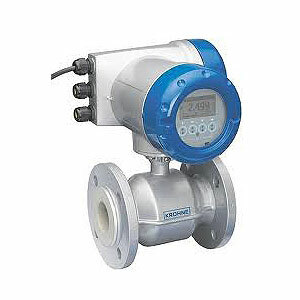 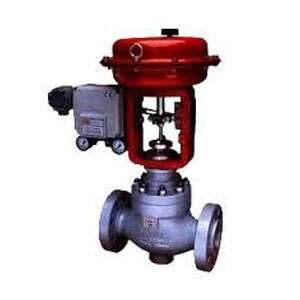 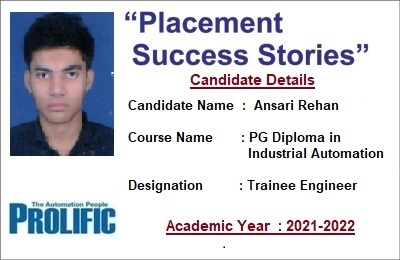 Once You Get Trained, You Will Be As Good As Experienced Mechanical Engineer. 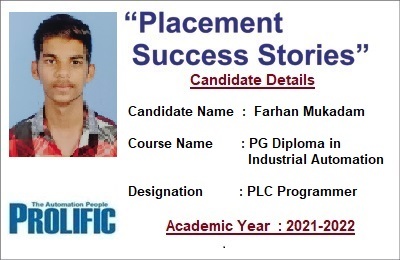 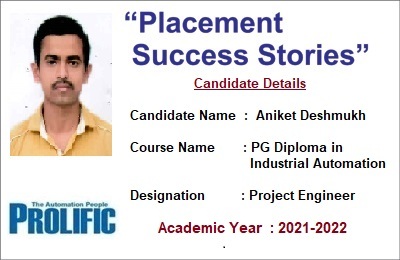 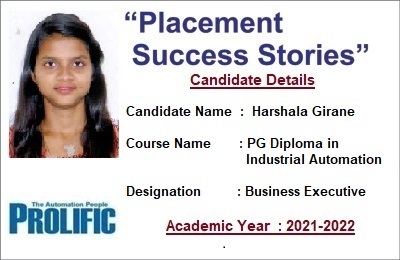 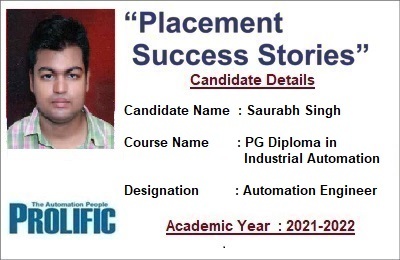 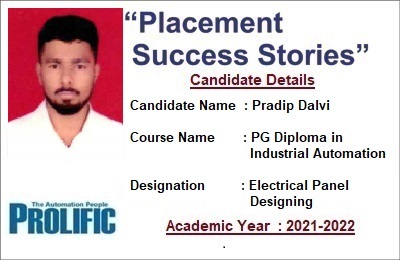 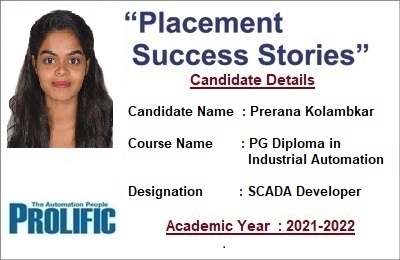 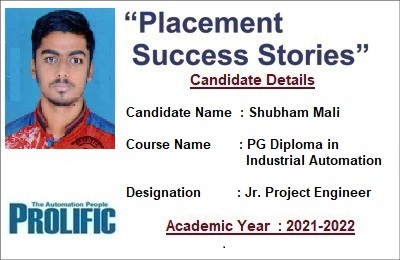 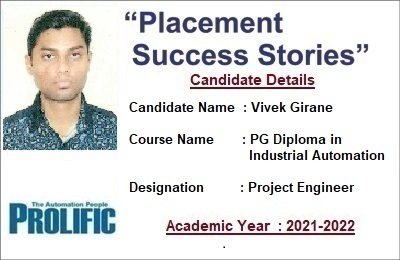 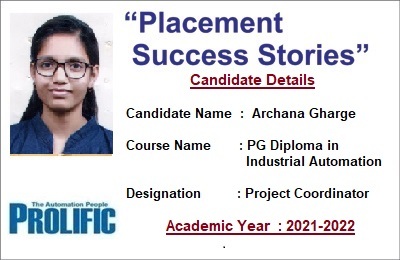 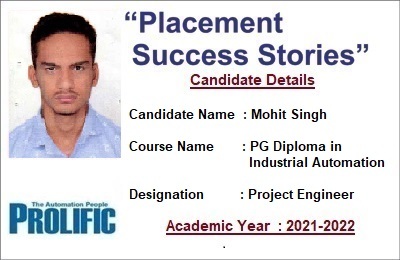 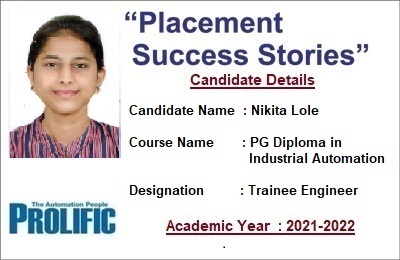 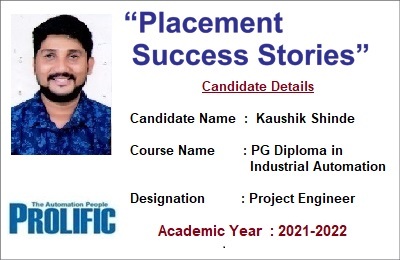 Prolific offers placement oriented training programs for the PROFESSIONAL & FRESHERS 10th / 12th and ITI students, who are looking for the placement in core manufacturing and high growth infrastructure sector, projects companies and high end electrical and mechanical design companies. 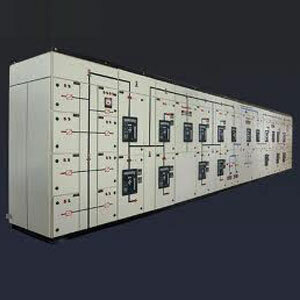 Prolific has large infrastructure that includes the platforms/equipments used in the industry such as HT and LT Switchgears, Contactors, Relays, Industry Size Motors ( Single and Three phase), Transformers (Single & Three Phase), Compressor and Pumping System, Control Panels, Industrial Fans / Diesel Generator Sets, PLC, SCADA, Drives and DCS System, Advanced Measurement, Tools and Equipment such as Earthing meter, Advanced Multimeters, Insulation Testers, Tong tester, RPM meter, Industrial 3 phase Megger, Armature Tester, Radio Frequency Stroboscope, Wireless Laser Alignment Kit, Once You Get Trained, You Will Be As Good As Experienced Industrial Electrician.